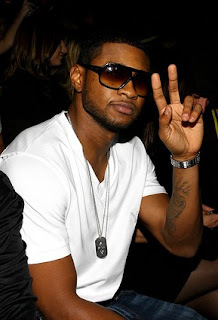 Years of rumors were confirmed by R&B superstar, Usher, when he made his appearance on VH1's "Behind the Music." In the late 1990s, Usher began dating TLC singer, Chilli. The two were one of the cuter young couples of the early 2000s. Some compared them to the black version of Britney Spears and Justin Timberlake. Much like their white counterparts, the two were done with each other before 2005. Because the two looked so good together, fans were dismayed when they broke up. Rumors began of Usher cheating on Chilli. Over the years, this is something Usher never opened up about. Recently, Chilli has been more open to talk about their relationship, but she never spoke of Usher's infidelity. But, in his VH1 documentary, Usher revealed the reason they broke up. His frequent cheating, along with past relationships, never gave their relationship a fighting chance. Usher justifies his actions by stating he wanted to build a family and Chilli did not. The couple remains great friends and they often give each other relationship advice.